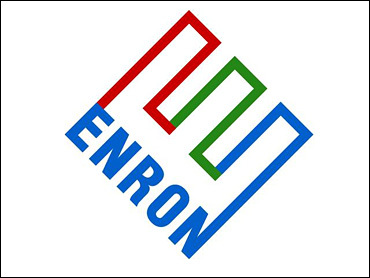 A federal judge gave final approval Wednesday for three more banks to pay $6.6 billion to settle civil claims that they helped Enron Corp. manipulate earnings. U.S. District Judge Melinda Harmon approved the deals with the Canadian Imperial Bank of Commerce, JPMorgan Chase & Co. and Citigroup Inc. Her ruling came as a jury in another courtroom continued to deliberate the fate of Enron founder Kenneth Lay and former chief executive Jeffrey Skilling in a criminal fraud and conspiracy trial. The litigation's settlement tally has so far reached $7.3 billion, with interest, against Wall Street firms accused of helping the energy trader hide losses and inflate profits before it careened into bankruptcy proceedings in December 2001. William Lerach, who represents the University of California, the lead plaintiff in the conglomerate of shareholder lawsuits in Houston, said the pot is earning $550,000 in interest per day. He declined comment Wednesday on any other settlement talks. Other banking and brokerage heavyweights that have not struck settlements include Merrill Lynch & Co., Barclays PLC, Toronto-Dominion Bank, Royal Bank of Canada, Deutsche Bank AG and the Royal Bank of Scotland Group PLC. Lay and Skilling are also defendants in the litigation, much of which was filed in Enron's final months. During his testimony during his 16-week fraud and conspiracy trial, Skilling addressed both the criminal and civil allegations against him by saying, "I'll fight those charges until the day I die." The civil litigation is slated for trial Oct. 16, Lerach said. CIBC, JPMorgan Chase and Citigroup last year announced settlements with the largest amounts yet: CIBC, $2.4 billion; JPMorgan, $2.2 billion; and Citigroup, $2 billion. Before those agreements, some $500 million of settlements had been reached with Lehman Brothers Holdings Inc., Bank of America Corp., Andersen Worldwide, and 18 former outside Enron directors — including 10 who put up $13 million from their own pockets after they had sold inflated stock. About 50,000 Enron stock and bond holders, led by the university's board of regents, filed claims in the action. Approximate damages reach $47 billion, but Lerach has said the actual awards will be pennies on the dollar. He said Wednesday the judge has yet to approve class status in the civil litigation. Once that is done, "we'll get the money out to the people as quick as we can," he said.